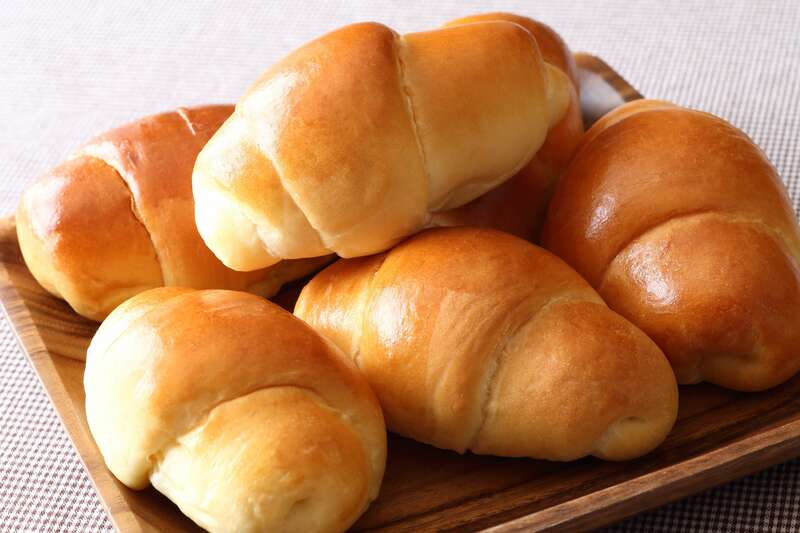 It can be hard to find tasty and soft butter rolls at a local bakery. Here’s a recipe for easy dinner rolls to make you feel good about making them for special occasions. And as a bonus, they are super easy with aid of your Bread machine. RecipeSavants.com It can be hard to find tasty and soft butter rolls at a local bakery. Here’s a recipe for easy dinner rolls to make you feel good about making them for special occasions. And as a bonus, they are super easy with aid of your Bread machine. Smart Recipes, American Recipes, Eggs Recipes, Recipes Eggs American Bread Machine Butter Rolls PT1H20M Serves 12 Ingredients: 0.666666666666667 Cup Water 3 Cups Bread Flour 3 Tablespoons Dry Milk 3 Tablespoons Sugar 2.5 Teaspoons Salt 0.33 Cup Butter 2 Teaspoon Active Dry Yeast 1 Egg In the pan of a 1 1/2-pound bread machine, place all ingredients except egg according to manufacturer’s directions. Select Dough mode and press Start Button. After Dough cycle is complete, remove dough from pan and transfer into a lightly greased bowl. With a plastic wrap, cover the bowl and keep in a warm place for about 20-30 minutes. Transfer dough onto a lightly floured surface and divide into 12 equal sized portions. Roll each portion into a cone. With a clean cloth, cover all dough cones and keep aside for about 15 minutes. Preheat oven to 90 degrees. Lightly, grease a large baking sheet. Place a cone onto a lightly floured surface and with a rolling pin, roll into a flat, triangular shape. Then, roll the triangle from the wide end to the narrow into a crescent roll. Repeat with remaining cones. Arrange rolls onto prepared baking sheet in a single layer. Lightly, coat each roll with warm water. Place the baking sheet into the oven for about 30-40 minutes. Now, increase the temperature of the oven to 400 degrees. Bake for about 12-15 minutes. Slightly, coat the rolls with beaten egg once in the middle way.